- Includes the tools and connectors necessary for installing a voice and data network. 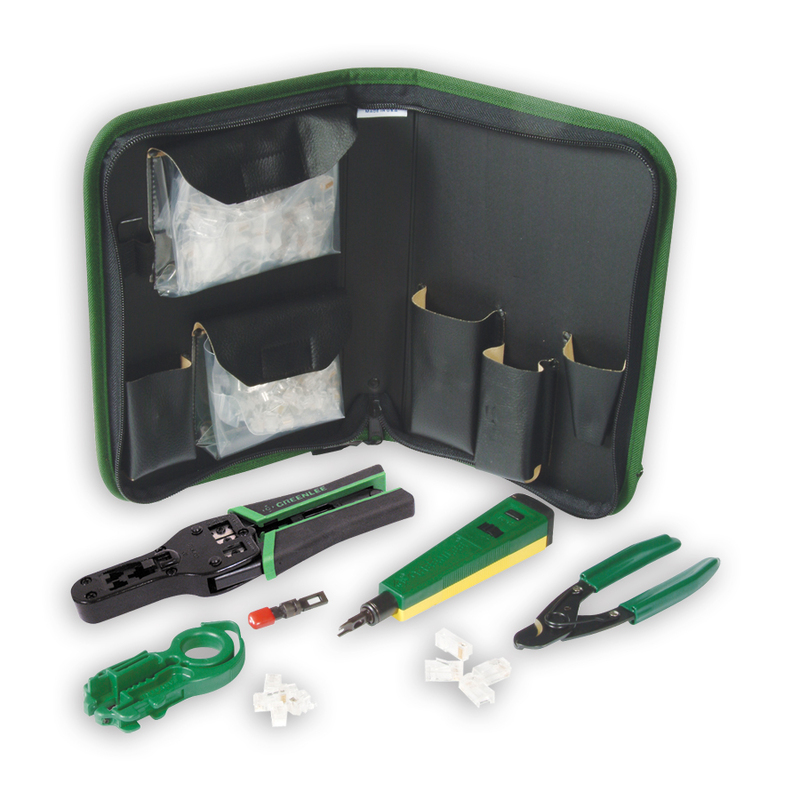 - Durable Cordura® Plus zipper case protects and organizes tools and includes a see-through pouch for storing connectors. 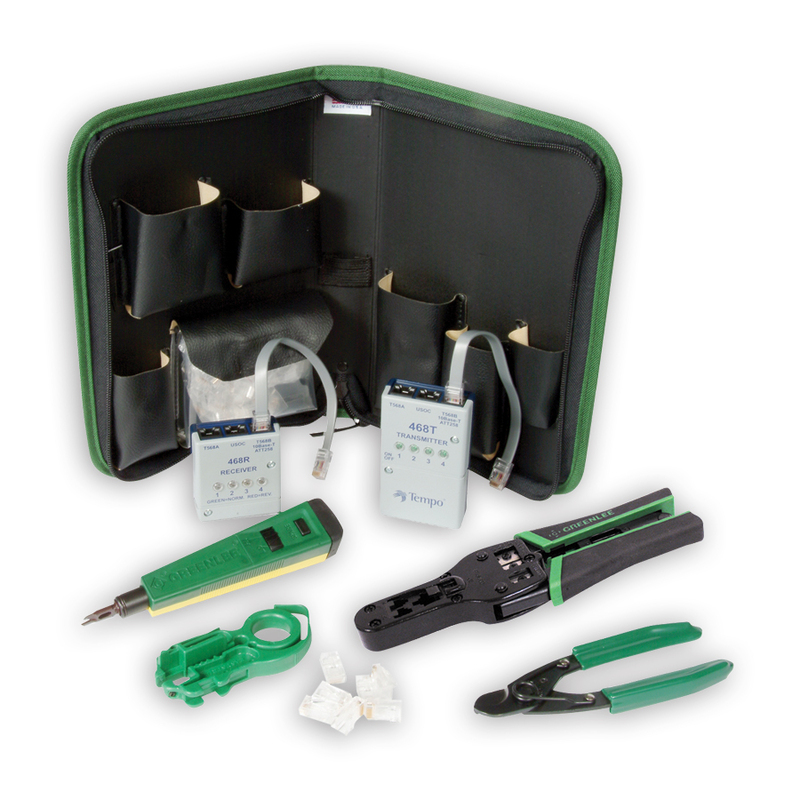 - Includes the tools, connectors and testers necessary for installing a Cat 5 data network.